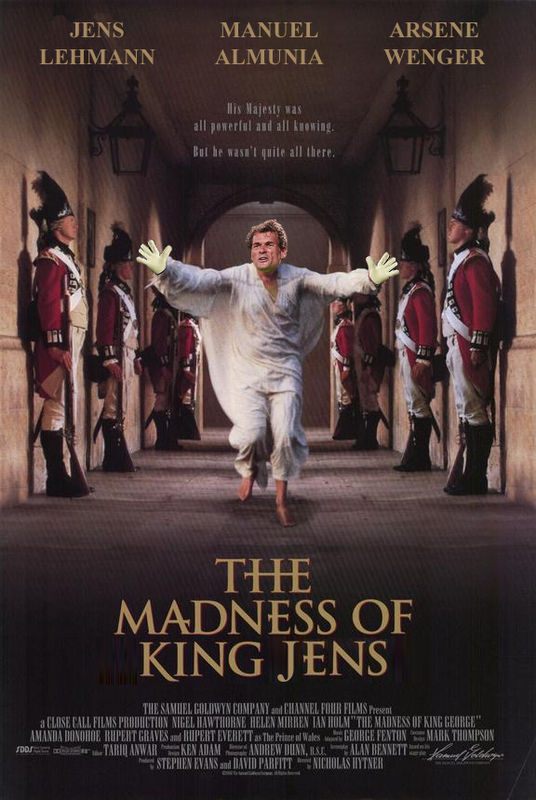 A day late due to some WordPress gremlins, but following Arsenal’s decision to re-sign their former goalkeeper on a short term deal, Jens Lehmann is this week’s theme. Lehmann's contract demands were simple - £40K a week and his own private toilet. It’s still unclear whether Lehmann will play any games, but I think most people secretly hope he will. Mainly for the fact that he’s pretty damn entertaining and we’d be in for a treat. As well as all that, he was also a pretty decent goalkeeper in his time. 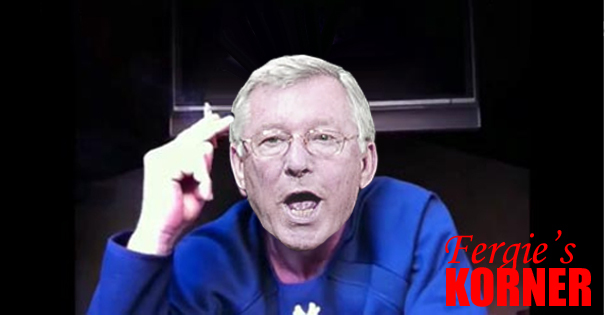 Alex Ferguson always seems to be angry at someone, and this week his ire was aimed at most of the media for the apparent reason that they published what he said. 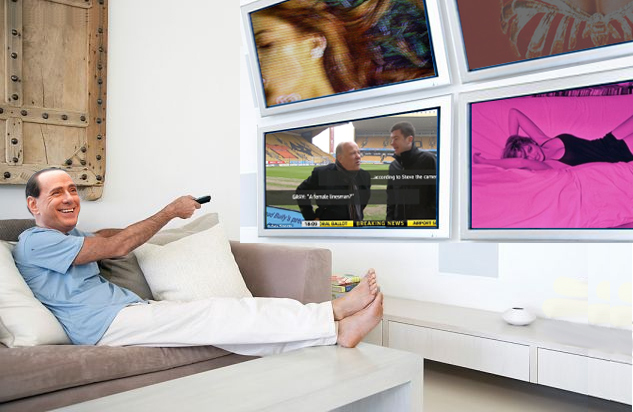 Of course broadcasting something negative that Fergie has said has its consequences – he promptly spoke to no-one all week. 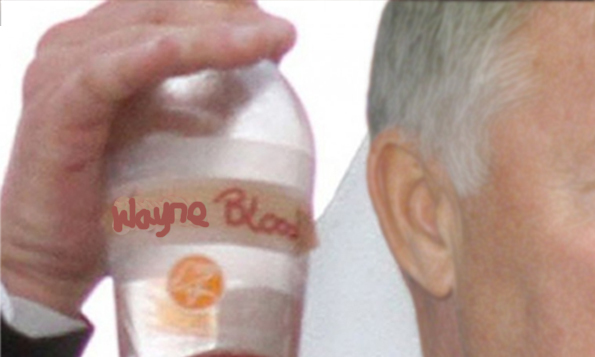 Ridiculous over-reactions aside, it’s only natural that he is this week’s photoshop theme. 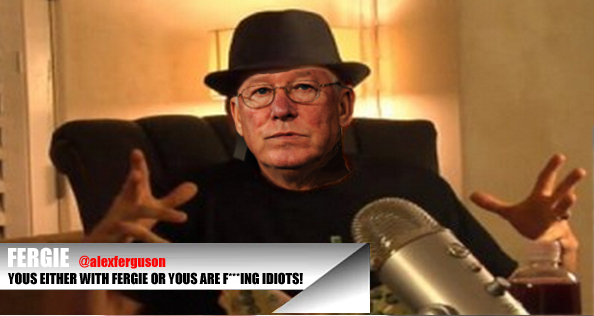 After various misquotes, Fergie decided it was high time to create his own media channel and set the record straight. You're either with him or without. Silvio certainly knew who his favourite TV presenters were. Good evening dear readers, and a happy new year. A bit of a Christmas lull meant that there hasn’t been a Photoshop in a few weeks as there was an end of year round-up and then a break. But it’s back and ready to keep entertaining and/or annoying in 2011. 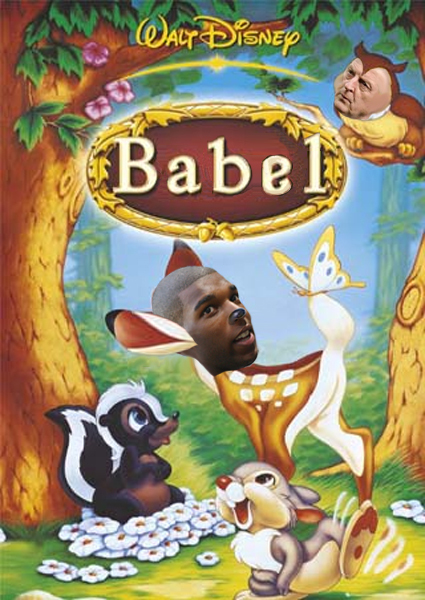 First off this year we have full-time rapper and part-time Liverpool player Ryan Babel. I think it’s fair to say I definitely haven’t got those the wrong way round. I personally think the resemblance is uncanny. 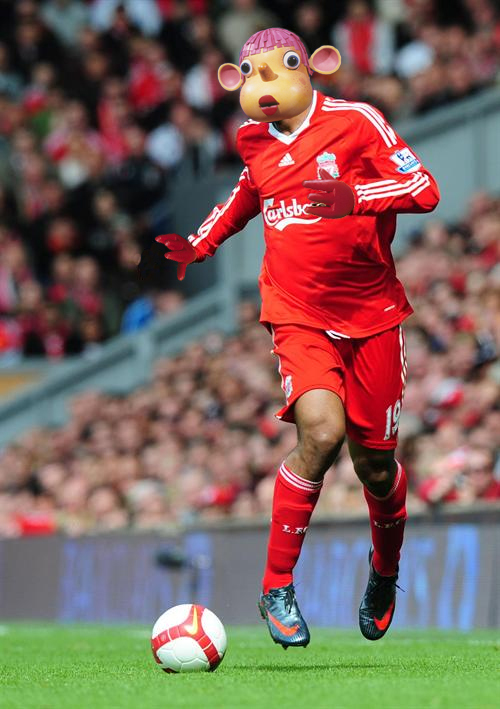 At the end of his pink and yellow jumper you'll find Liverpool's unravelled title challenge. 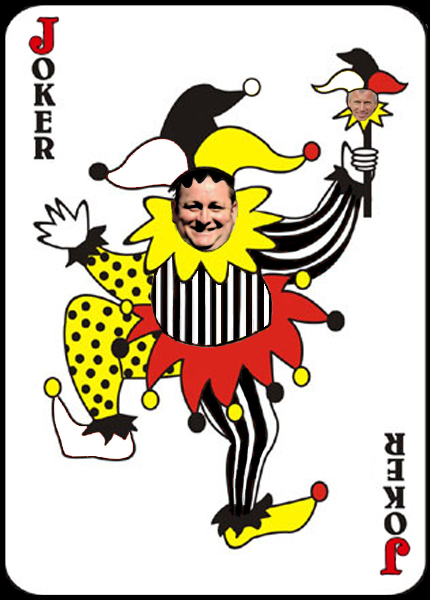 A bumper edition for you this week as our Photoshop theme is Mike Ashley, chairman extraordinaire of Newcastle. 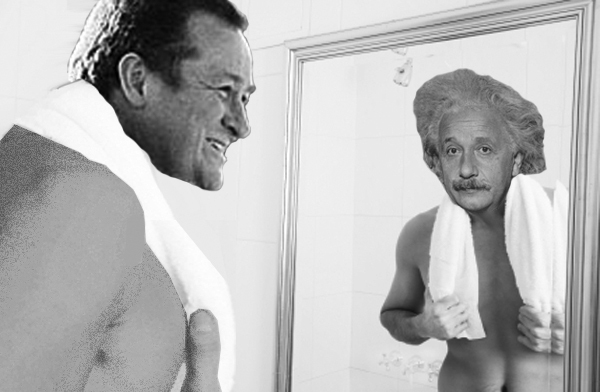 Goodness knows what he sees in the mirror but I'm sure Mike Ashley thinks he's a genius. Lots more on the Guardian site – he really is a good topic. The news yesterday that Newcastle, or more specifically Mike Ashley, had sacked Chris Hughton was something of a shock to say the least. After leading them back to the Premier League with a 102 point Championship winning season, Hughton has overseen comfortable start to the season with Newcastle lying 11th with 19 points from 16 games. Ashley cited the need for someone with more managerial experience to take the club forward which is reasonable if Newcastle were struggling but not in the current circumstances. It’s not as if Newcastle are marooned in the bottom three, they’ve been mid-table all season and had impressive league victories over Arsenal, Aston Villa and Sunderland amongst others. Chuck in a League Cup win away at Chelsea and you’ve got the basis of good start to the season. 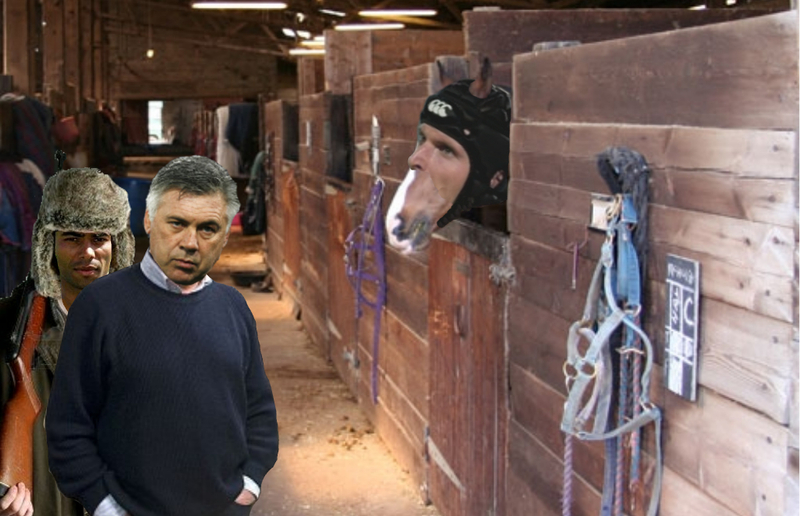 Perhaps there was the feeling that the current run of one win in six was a sign of things to come, but if that was the case then surely Chelsea would be sacking Carlo Ancelotti right now, given he has the exact same record over that period. If Ashley looked at the table he’d see Everton and Liverpool below his side too. The whole reason Newcastle were regarded as a joke club for so many years was that there was always something ridiculous going on. Whether it was poorly thought out signings, directors making inappropriate comments, or hiring Joe Kinnear as manager, you always felt glad your own club wasn’t as stupid. 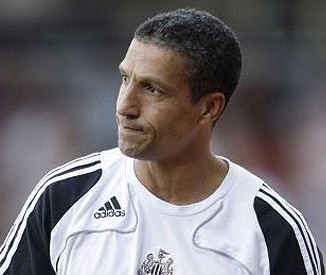 Hughton brought some stability and more importantly some dignity back to Newcastle. Conducting his business with little fuss, and managing to pretty much unite one of the most divisive squads in recent memory, he was doing well in his first shot at full-time management. Ashley obviously felt otherwise. Let's shake on it. It won't make a difference but it makes me look good. Perhaps he felt this season offers an opportunity – it’s a tighter league than normal so a higher than expected finish is achievable. Perhaps he looks at how well fellow promoted sides West Brom and Blackpool are doing and feels Newcastle should be doing better having last season finished 11 and 32 points ahead respectively. Perhaps he still plans to sell the club sooner rather than later and wants a bigger manager to attract higher bids and better players. The thing about most of these options is that if anything Newcastle are punching above their weight at the moment. Ashley may feel that they should resume their place at the higher echelons of the league but times have long since changed from the heady days of title challenges. The main reason is the lack of investment in the team. I know Ashley has spent £300million since buying the club (including the cost price) and he the right to do what he wants but much of this was wasted on poor players and a big fat payoff to big fat Sam Allardyce. This summer they spent around £6million and that’s being generous as a third of that was just to loan Ben Arfa. Considering how small the squad was to begin with, to currently be 11th despite a poor run of form isn’t to be sniffed at. A promoted side should be looking at staying up first and foremost. Who knows what changing manager now will have. In fairness, despite the difficulty in doing so, judgement has to be reserved until the next manager is named. If Newcastle end up with say Martin O’Neill (unlikely) or Martin Jol (expensive but maybe) then you could argue that a good decision may have been made, however harsh it is on Hughton. 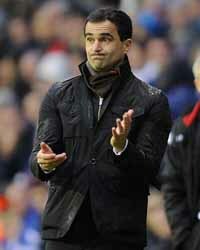 There isn’t really a good time to change managers and it may as well have been done pre January transfer window. 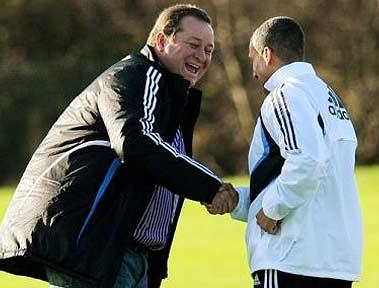 The backlash will come if Newcastle end up with someone like Alan Curbishley or Alan Pardew. Are they truly better than Chris Hughton? Really? It would smack of hiring the proverbial safe pair of hands or in other words complete mediocrity. 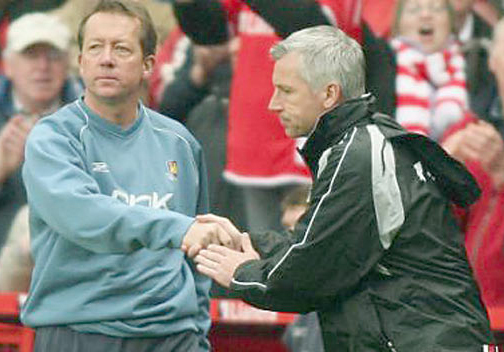 Curbishley has a track record of uninspiring mid table finishes, the exception being 7th with Charlton in 2003/04. I lost track of the number of times his team would be in a good position come January before collapsing once reaching 40 points. I suppose Alan Pardew is a slightly better option but that’s like saying Andy Townsend is a slightly better pundit than Robbie Earle – both are completely meh. 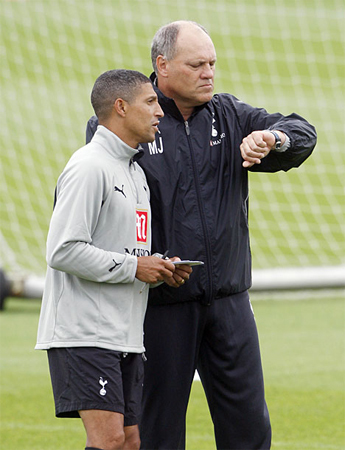 I wonder who Jol would pick as his assistant?! 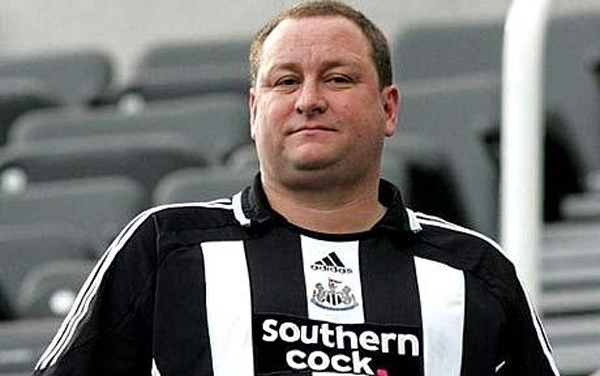 By keeping out of the limelight for a while, Mike Ashley’s reputation improved in recent months but he’s destroyed any goodwill he had with Newcastle fans. Even if he brings in someone really quiet good, I’m not sure he will regain it. In the eyes of most, he’s probably the one who should be leaving the club. 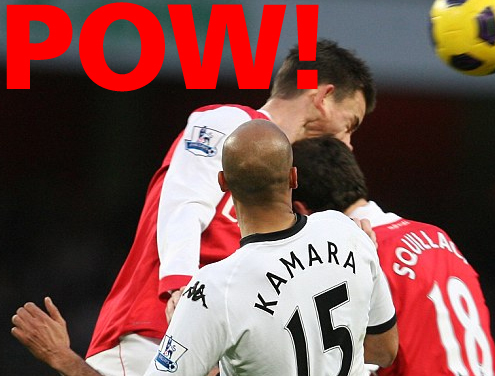 Post match thoughts on Arsenal v Fulham. Both of Samir Nasri’s goals were wonderfully taken; on each occasion his close control getting him past several players before providing a finish with either foot. I think part of Nasri’s ability to score such goals stems from his comfort shooting off either foot. It doesn’t limit his direction as he knows whichever route he’ll take, there will still be an opportunity to fire a shot on goal. 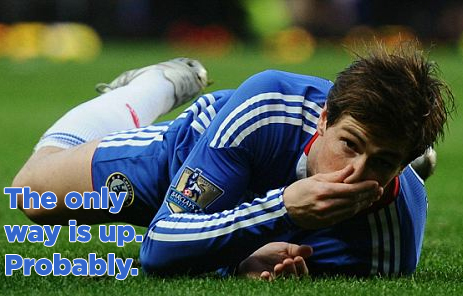 Beyond Andrey Arshavin, there isn’t a player in the Arsenal squad as two footed. This versatility is a big factor in Nasri’s terrific start to the season. He's run out of fingers to count his goals this season. Arshavin himself also had a pretty good game, and has also had a pretty good season thus far. Yes he is a luxury and yes he often stands around but he makes things happen and is often a step ahead in terms what he’s trying to pull off. It might be prudent to play someone a bit more defensive in tough away games but at the same time he is more likely to produce something out of nothing. Fulham played pretty well on the whole and with a little more ambition could even have won the game. The main tactic of trying to play in Kamara behind the defence didn’t work often (mainly due to Kamara’s tendency to mistime his runs and caught offside) but it did result in Fulham’s goal. I can’t complain that the game wasn’t stopped for Koscielny’s head injury, ultimately he hadn’t fallen to the ground and so it was difficult to know the full extent in the short space of a few seconds. 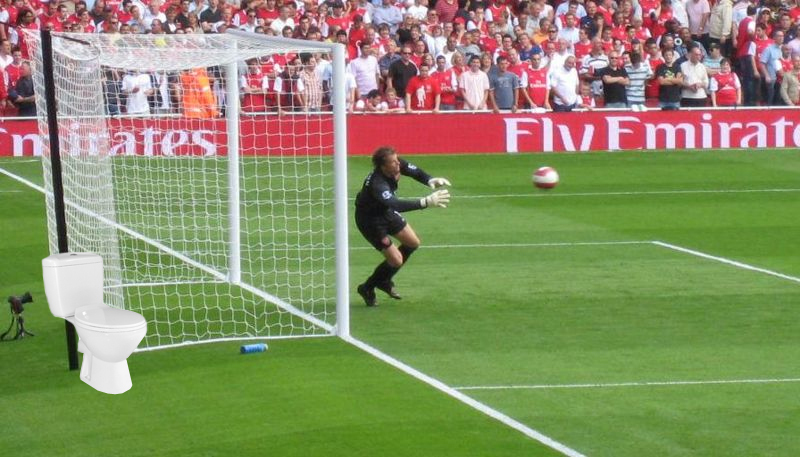 It was interesting that at 1-1 and with control of the ball in midfield, Fulham would often play it all the way back to Schwarzer in goal. 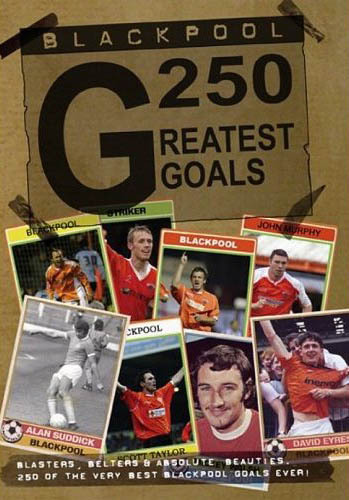 Similarly they would spend an age over every throw and goal kick – it was clear that Mark Hughes considered a draw a good result, but that lack of ambition has seen him become the draw specialist in the Premier League. I was impressed by Johan Djourou when he came on for Koscielny. He’s been good when he’s played this season but Wenger is obviously being cautious with regards to playing him every game. He was authoritative in the air and seems to have made a conscious change in terms of attacking the ball/player. Clichy and Sagna were also solid, the former having his best game in quite some time. Perhaps the fit again Kieran Gibbs has focussed the Frenchman’s mind somewhat. The game was closer than it perhaps should have been but in part this was due to the poor performances of Arsenal’s midfield. Wilshere looked quite tired after playing against Wigan and faded as the game went on. Rosicky was fairly anonymous but neither were as bad as Alex Song who seems to have forgotten what his role is. 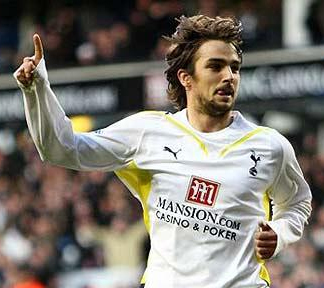 There were plenty of misplaced passes from him and his tendency to wander forward unnecessarily remains unabated. This often left the defence exposed both in terms of Fulham attacks but also as an option for them to pass to. He needs a few games where he curbs his attacking instincts, especially if you consider the upcoming games against Man Utd and Chelsea. The tension made for a better atmosphere in a way. For once Arsenal had got going early in the first half and produced a number of chances (and indeed the goal) which got the crowd going. But as Fulham came back into it, mistakes were made and calls were not received from ref Chris Foy, meaning there was considerable crowd noise generated. The crowd often feeds off the team but I think it works both ways. I should mention Theo Walcott briefly too. 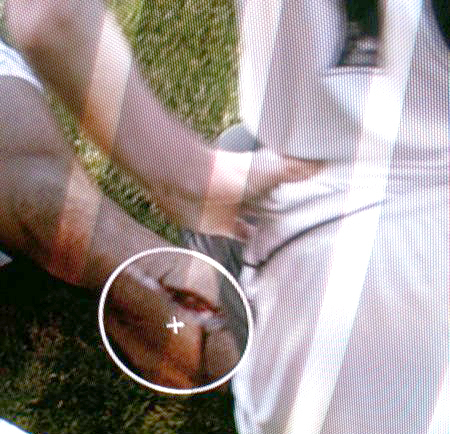 He was only on for 15 minutes but it was one of those horrible games were nothing he did came off. The worst thing was that his job was to play off the last centre back/left back but he seemed unwilling to do that, and simply jogged around not wanting the receive the ball or to make any runs. 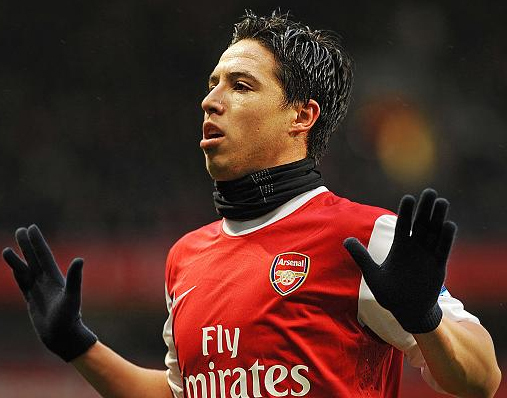 With Van Persie returning and Nasri and Arshavin in such good form, it’s tricky to see where his starts will come from at the moment.